Stogie T - Now a Mumble Wrapper? Three years ago veteran rapper, Stogie T, formerly known as Tumi for Tumi and the Volume, consciously decided to try a different style of music and write the kind of songs he never would have written as part of the group. Since then, he has given enthusiasts his self-titled album, Stogie T and more recently the Honey and Pain project that features a collection of beats and lyrics in a 14-minute song, God’s Eye. But his most recent creation is the new mumble rap song titled “Original Recipe Freestyle”. He worked in collaboration with fast food giant, KFC, to commemorate the brand’s new meal offering, showcasing how #TheWrapGameHasChanged. The unusual drop was quickly followed by a viral ad featuring the rap maven. The advert, also features rapper, actress and media personality, Boity, who has been making serious waves in the local hip-hop scene since the debut of her hit single “Wuz Dat?” and follow up smash “Bakae”, together with television personality, Scoop Makhathini and rapper Tounchline. He worked with Truhitz on production and wrote the song with Adilson ‘Ason’ Sitoe. The song is true to the form of the mumble wave by using catchy lines and emanating that good vibe. Stogie dropped the song on Twitter and it’s now available on iTunes and Spotify. According to the social media platform, tweeps are loving the song, with some questioning his new musical direction; while some fans were more forgiving as the OG threw a couple of bars that appeased his core following. Listen to it and decide for yourself. He goes on to talk about how things were when he first started in the rap game, where he subsisted on crumbs but, looking at where he’s at now, things have changed. This links back to the re-invention of Boitumelo Molekane. 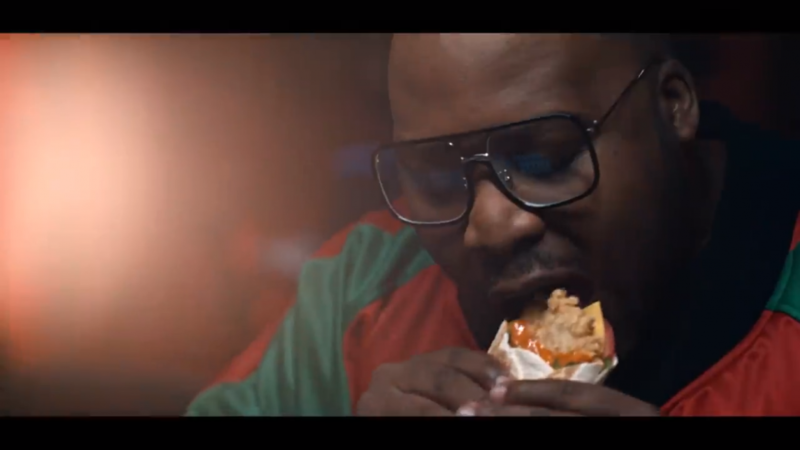 The new ad sees Stogie in studio lacing a new track, snacking on the new KFC Wrapsta Box while his crew records the sessions and shares on social media, turning the veteran’s studio session into a viral sensation –highlighting the speed and ubiquity of social media, while emphasising how #TheWrapGameHasChanged. After Stogie T takes a bite of his wrap, he becomes a phenomenon, and amazingly shrugs off his new-found notoriety by choosing to keep it real.